Political parties are an important component of most modern political systems. While one might normally think of political parties as being exclusive to western liberal democracies, this is not necessarily the case. Political parties have existed in a wide range of political systems, such as communist states (China), theocratic governments (Iran), and absolute monarchies (Saudi Arabia). While those who study politics agree that political parties are important, they often disagree on a precise definition. For some, political parties are groups of elites that compete against one another for political power. For others, such as Marxists, political parties are manifestations of conflict and struggle between different classes. Still others view political parties as the formal organization of different ideologies and opinions found in a society. At a practical level, however, many countries provide certain legal definitions for political parties. In Canada, for example, the Canada Elections Act defines a political party as: “an organization one of whose fundamental purpose is to participate in public affairs by endorsing one or more of its members as candidates and supporting their election.” In order to become registered as a legitimate entity in the Canadian political system, a political party must meet a number of conditions, including having 250 members who are electors, and nominating a candidate in at least one electoral district. In Canada’s system of parliamentary government, political parties perform a number of different functions or tasks. The first is recruitment and election of political officeholders. Political parties enlist individuals to run in elections to become Members of Parliament (MPs) in the House of Commons. The role of recruiter, however, does not end there. Under Canada’s parliamentary system, the political party with the most MPs in the House usually forms government. Once in power, the governing party (or its leader) is entitled to fill a broad range of positions in the executive, legislative, and judicial branches of government. Examples include the cabinet ministers, executive staff (to fill key roles in the Prime Minister’s Office), the Governor General of Canada, members of the Senate, and justices of the Supreme Court of Canada. A second important function of political parties is interest articulation. By joining a political party, individuals and groups can bring their interests to public attention and attempt to influence the policies pursued by the state. Political parties also monitor and poll citizens to identify ideas and viewpoints on key issues of the day which might gain them electoral support. This, however, is not to suggest that political parties are completely passive in their relationship with citizens. Another important function is political socialization, in which political parties influence citizens’ understanding of political culture. Simply put, political culture is a people’s shared framework of values and behavior relating to government and politics. This includes how people view the relationship between government and the people, the rights and responsibilities of citizens, the duties or obligations of government, and the limits of government authority. In this context, political parties operate as agents of political culture, teaching the “rules of the game” to citizens. Other key agents of political culture include the family, the formal education system, religious institutions, the mass media, and government itself. More radical views view political parties as playing a major role in reinforcing traditional relationships of power. Marxist observers, for example, argue that while the Conservative Party, the Liberal Party and the New Democratic Party ― the three main national parties ― all have different policies and ideologies, they nevertheless support traditional social structures, such as capitalism. Their political messages thus serve to socialize individuals and groups to support these traditional social structures. Political scientists have developed a number of methods for classifying political parties, the most significant being by type of organization and by type of appeal (Jackson and Jackson, 2006). One way of comparing political parties is by the manner in which they are organized (Duverger, 1954). Under this approach, there are three key categories. The first are mass parties, which are broadly-based and highly decentralized. These sorts of parties will attempt to recruit members across different class lines. Moreover, they provide their members with significant power over party leadership and policy formulation. The second are cadre parties, which recruit from elites that are active in the political process. Cadre parties also tend to be highly centralized around party leadership, especially in policy formulation. According to Duverger, the third category of political parties are devotee parties, built strictly around a charismatic leader. Such parties tend to rise and fall according to the popularity of their leader. In the context of Canadian federal politics, the Liberals and the Conservatives tend to be characterized as cadre parties, though, at times, they have adopted features of mass parties. The New Democratic Party and the Reform/Canadian Alliance Party began with strong elements of a mass party, but have subsequently shifted towards the cadre model; the latter eventually morphed into the Conservative Party, after merging with the Progressive Conservative Party of Canada in 2003. Another approach to looking at political parties in Canada involves categorizing them by their type of appeal. On the one hand, there are catch-all or brokerage parties that attempt to maximize their appeal by adopting popular and/or middle-of-the-road policies. Such policies may be inconsistent as far as ideology, but nevertheless have strong support with a broad section of voters. The Liberal and Conservative parties tend to be characterized as brokerage parties. In contrast, ideological parties tend to adhere to a strict ideology or set of principles, even when this adherence limits electoral support. The New Democratic Party has its roots in social democracy; the Reform/Canadian Alliance had its in western alienation and conservatism, while Quebec nationalism is the foundation for the Quebec-based Bloc Québécois. All three can loosely be characterized as ideological parties. What is a Party System? The previous section focused strictly on the nature of individual political parties. Political scientists, however, also study “party systems” or the relationships between political parties during a particular period. These studies allow us to identify changes in the politics of a particular country over time, and to make comparisons vis-à-vis different countries. One approach to differentiating party systems focuses on the number of political parties that compete for political power. In a one-party system, only one political party may legally recruit and select political officeholders. Communist regimes, such as China and Cuba, are examples of a one-party system. In a two-party system, two political parties dominate the competition for political power. The United States is an example of this sort of party system. While other parties are legally free to compete for political power, the Democratic and Republican parties nevertheless dominate. In a multi-party system, electoral support is divided among three or more political parties. Many European nations have strong multi-party systems. Another approach is to classify party systems according to their level of competition, which depends on the number of political parties that have real opportunities to compete for political power. A competitive party system would be exemplified by the presence of multiple political parties, in which popular support is divided fairly evenly. Again, many European democracies constitute examples of such a party system. A non-competitive party system is one where a single party routinely dominates elections. One-party systems, in which only one political party is legally permitted to recruit and select political officeholders, would be the clearest example. Non- or low-competitive systems, however, can also occur in multi-party systems, especially when a single political party dominates elections over a long period of time, often referred to as a dominant-party system. In its early history, Canada was characterized by a two-party system in which the Conservative and Liberal parties dominated electoral politics. The Conservative Party arose from a coalition of several pre-Confederation groups: Tories and Moderates from Upper Canada (modern-day Ontario), as well as English business interests and French Conservatives from Lower Canada (modern-day Quebec). The Liberal Party, by contrast, formed around two other principal groups: French radicals from Quebec and the Clear Grits from Ontario. Led by John A. Macdonald, the Conservatives formed the first government after Confederation and governed for most of the period from 1867 to 1921 (see table below). The Liberals won power in 1873 following the Pacific Scandal, in which leaders of the Conservative Party were accused of accepting campaign funds in exchange for political favours. The Conservatives, again led by Macdonald, returned to power in 1878 and governed until 1896. Following Macdonald’s death in 1891, the Conservative Party experienced a period of instability and went through several leaders in a short period of time. In 1896, the Liberal Party, helmed by Wilfrid Laurier, again won power, governing until 1911. Beginning in the 1920s, national politics in Canada began to move away from a strict two-party system to a multi-party system or, more precisely, a two-and-a-half party system. There was the rise of new parties, such as the Progressives and the CCF/NDP, which had significant impacts on Canadian politics \ These new parties, hwoever, were never able to actually form a government (hence, the term “two-and-a-half” party system). It is important to further note that while the Liberals and Conservatives continued to be the two major political parties, the Liberals formed the government for most of the period 1921-63. In 1921, farmers became highly organized in electoral politics, electing their own Progressive candidates to the House of Commons. The Progressive movement took issue with conscription during the First World War, government tariffs, agricultural and transportation policies, in addition to advocating for parliamentary reform, including minimizing party patronage and party discipline. The movement, however, dissipated by the end of the 1920s, as members dispersed among the Liberal and Conservative parties, and the newly formed Co-operative Commonwealth Federation (CCF). Formed in 1932 by social democrats and various farmer and labour groups, the CCF initially adopted a radical platform, highlighted in the 1933 Regina Manifesto. The Party elected several members to the federal House of Commons in 1935, in addition to winning government in the province of Saskatchewan in 1944 under Tommy Douglas. In 1961, the CCF went on to become the New Democratic Party, adopting a more moderate-left reform position that — today — often overlaps with centre-left Liberal policies. While the NDP has never formed government at the federal level, the party has held considerable influence over minority governments, such as the Liberal minority government helmed by Pierre Elliott Trudeau from 1972 to 1974. The party has formed government several times at the provincial level. Beginning in the 1990s, Canadian national politics began to take on the appearance of a full-fledged multi-party system, though the Liberal and Conservative parties have been the only parties to form government in this period. They have, however, been challenged by larger number of other parties. Since 1993, a total of five main political parties have competed for electoral support, resulting in an erosion of the dominance enjoyed by the Liberal and Conservative parties. The evolution of Canada’s party system, to something that could be characterized as truly multi-party, coincided with the collapse of the Progressive Conservative Party in 1993 and the rise of new regional parties in Western Canada and Quebec. The Reform Party was formed in 1987 as a conservative alternative to the Progressive Conservative Party, the party in power at the time. With Preston Manning as its first leader, the party based its platform on the theme of western alienation, buttressed by policies that largely consisted of a combination of social and fiscal conservatism. In 1997, the party won the second largest number of seats in the House of Commons, forming the Official Opposition. Unable to win significant support outside of Western Canada, however, the party transformed into the Canadian Alliance in 2000 — a development that also saw Preston Manning replaced by a new leader, Stockwell Day. Finally, after electoral success continued to elude the party, in late 2003 the Canadian Alliance merged with the Progressive Conservative Party, forming a single Conservative Party. The 1990s also saw the rise of the Bloc Québécois, a regional party based solely in the province of Quebec. The Bloc was, in large part, a response to the federal government’s failure to address the constitutional demands of Quebec with the Meech Lake and Charlottetown accords. Initially led by Lucien Bouchard, a former Progressive Conservative cabinet minister, the Bloc advocated sovereignty for Quebec from the rest of Canada. While the party has only run candidates in province of Quebec, it has been able to win significant numbers of seats in the House, such that it formed the Official Opposition in the general election of October 25, 1993. The Green Party of Canada has also gained a larger profile in Canada’s contemporary party system. Formed in 1983, the party’s central plank is environmentalism and sustained development. Initially the party struggled with a lack of popular support and funding. Following reforms to federal election financing laws, however, its finances have greatly improved, allowing it to evolve, grow, and run more effective campaigns. While the party has yet to elect a Member of Parliament, it did receive 6.8 percent of the popular vote in the 2008 general election (Makarenko, 2008). An important institution in a federal political party is its constitution. This is a formal document which sets out the party’s basic framework. Constitutions will typically outline the grounding principles and values of the party. They also establish the party’s basic structure and operation. This includes the rules surrounding party membership; the selection and powers of party leadership; the organization of party conventions; rules governing nominations and the running of candidates in elections; the relationship with provincial/territorial counterparts; and the procedures by which the constitution may be amended. All parties actively encourage individuals to become members. From the perspective of a party, having a larger member base can be vital to its success. Encouraging membership can help to maintain core electoral support, recruit potential leaders and electoral candidates, secure revenue (through membership dues), and bring new policy ideas into the party. From the perspective of individuals, party membership can be a significant means of participating in democratic institutions. For those seeking public office, membership in a political party can be an important networking tool, provide a means to gain political experience, and receive financial and other support. For others, party membership can be a valuable means of influencing democratic outcomes. Typically, one must be a member to participate in key party business, such as nominating candidates in electoral districts, selecting party leaders, and formulating party policies. Traditionally, only a very small portion of Canadians are members of political parties. Estimates suggests only between 1 percent and 2 percent belong to parties on an ongoing basis, placing Canadian party membership near the bottom of a list vis-à-vis many other western democracies (Carty & Cross, 2010). That said, party members can be divided into two sorts of groups (Cross, 2005). There are committed activists, party stalwarts who continually renew their membership and often participate in a broad range of party business. The second group is comprised of temporary members, who join the party on a short-term basis, participating in a particular leadership or nomination contest, or election, and then allow their membership to lapse. Traditionally, federal parties are comprised of two main branches. The parliamentary wing consists of the party’s elected members in Parliament, which usually includes the leader and members of the party caucus. This wing is responsible for party activities in the legislative and executive branches of government, such as voting on legislation, participating in parliamentary committees, and selecting government officials. The extra-parliamentary wing, by contrast, is responsible for internal party business, such as leadership selection and review, election campaigning, policymaking and finances. This includes party activists, ordinary and executive members, and the party’s internal bureaucracy and staff. In Canada, the parliamentary wings of parties stay continually active. The extra-parliamentary wing, by contrast, is often dormant, becoming active only during important events in the party’s life, such as election campaigns, leader selection or review, and large-scale reforms of the party’s policies. This is in contrast to other countries, such as Britain, where the extra-parliamentary wings of parties stay continually active, mobilizing electoral support and engaging the general public. Another important element party organization is the party convention, regular meetings of the party membership. Conventions are based on democratic processes, in which the ordinary members are given an opportunity to participate in deciding key party business. This includes the election of the party executive, amendments to the party’s constitution, and policy discussions. In theory, for a political party, the convention is the ultimate authority. In practice, however, the party’s leadership and elite tend to dominate party life (see below for more on party leadership). Party organization also includes the local constituency level. The major parties usually have organizations in individual electoral districts, which oversee the activities of the party at the local level. These organizations are led by constituency executives who recruit volunteers and raise funds for election campaigning. This local level also plays a role in the election of convention delegates and the nomination and selection of candidates. All federal political parties have a leader who sits at the apex of both the parliamentary and extra-parliamentary wings. In the parliamentary sense, the party leader is responsible for leading the caucus in its day-to-day activities in Parliament. If the party is in power, the leader usually also serves as the prime minister or head of government. As prime minister, the party leader will direct the development and implementation of government policies and programs. The prime minister oversees the cabinet, comprised of senior members of the party caucus who are responsible for specific areas of public policy. If the party is not in power, the leader directs the caucus in opposing the government and its policies (where there is discord), raising criticisms of government actions and providing alternate policies. The leader usually oversees a shadow cabinet, made up of senior caucus members who focus on specific areas of public policy in their criticisms of the government. The leader also heads the extra-parliamentary wing and the party’s internal administration. In this capacity, the leader is usually supported by a national committee and office, comprised of a small group of party elites and their permanent staff. This includes a president, vice-presidents, and a treasurer, among others. The leader and executive are also advised by standing committees or commissions representing specific groups or issues. Most major federal parties, for example, have standing committees for youth and women. Typically, parties select a new leader when there is a leadership vacancy due to retirement or a challenge to the existing leadership. Early in Canada’s history, the selection of leaders was undertaken in a closed system involving the elite, mimicking the traditional British model. The party’s parliamentary caucus and the retiring leader would select the new leader and present him to the rest of the party. Over time, however, all of Canada’s major federal parties have adopted more open and democratic procedures — in which rank-and-file members play an active role. The selection of a leader usually takes place at party conventions or national meetings of the party’s membership. While leadership convention processes vary from one party to another, they tend to flow out of four key stages (Carty, 2007). The pre-contest stage involves the informal process by which candidates for a party’s leadership emerge. This stage has no clearly defined beginning, with some candidates privately preparing for a campaign months — or even years — prior to the call of a convention, while others emerge only once the convention has been publicly announced. At this stage, candidates begin building their campaign organizations and arranging their staff and finances, in addition to seeking the endorsement of senior party members and parliamentarians. The delegate selection stage begins once the leadership convention has been formally announced. In selecting their leaders, Canadian federal political parties employ some form of a delegate voting system, in which local constituencies and other party units are entitled to send delegates to the convention. Delegates form the electorate of the convention, voting in favour of their preferred candidate. Once delegates have been chosen, the campaign stage begins. Candidates will focus their attention on the delegates in an attempt to build as much support as possible. The final stage is the leadership convention itself, in which delegates congregate and vote to determine which candidate will be selected leader. Conventions can often involve a series of ballots, until one candidate receives a majority of the delegate votes. It is also common for party leaders to face leadership reviews. Early in Canada’s history, there were no procedures for the periodic review of the leader (Courtney, 1995). Indeed, the removal of a leader was rare and usually only occurred as a result of internal pressure from the party’s parliamentary wing. Beginning in the 1960s, however, parties began to use their conventions not only to select a new leader when a vacancy arose, but also as an opportunity for party members to review the efficacy of the party’s leadership. That said, the processes for review and removal differ significantly between parties. It’s often the case, however, that a leadership review must be held on a semi-regular basis, such as following a general election, and warrants a vote by party delegates during a convention. Policymaking is a critical element for all political parties. At a very minimum, parties must develop platforms during elections which set out their course of action if the party is successfully elected to govern. In formulating policy, however, parties often face a difficult dilemma (Dyck, 2008). On the on hand, parties aim to provide party members with an opportunity to put forward and debate policy ideas. On the other, parties need to protect against adopting policy commitments that are unrealistic or may be detrimental to electoral success. With this in mind, parties provide opportunities for the general membership to participate in policymaking. This usually occurs at policy sessions at national conventions where members (or their delegates) are permitted to introduce, debate, and vote on policy resolutions. It’s important to note, however, that a party’s leadership often retains the right to determine official party policy and may accept or reject resolutions passed by the general membership at conventions. An example of this can be seen in history of the Liberal Party. When in power, the party has had a tendency to rely on the government public service for policy advice, as opposed to its own membership (Dyck, 2008). Between 1919 and 1948 the party did not hold a single national convention to discuss policy. When the party is out of power and cut off from the public service, however, it often turns to the party organization to develop policy. During the 1960s, Lester Pearson used the party organization to revamp Liberal policies, implementing many of them when the party returned to power. Jean Chrétien repeated this process in the 1990s when attempting to revitalize the party. The Red Book, which served as the party’s platform in the 1993 election, drew much from policy conferences held by the party in 1991 and 1992. Political parties require funding for a number of different activities. This includes election campaigning, retaining permanent party staff between elections, and providing research and advisory support for the party leader and parliamentary caucus (Jackson & Jackson, 2006). In support of these activities, political parties receive revenue from a number of different sources. For most political parties, the largest source of revenue is private contributions. In Canada, individuals are permitted to donate money to their party of choice, so they so choose. The federal government has, however, instituted a number of restrictions on this source of revenue, including limits on the amount of money that persons may donate, as well as restrictions on the source of contributions. Corporations, trade unions and individuals who are not Canadian citizens or permanent residents are prohibited from contributing to a federal political party. In addition to private contributions, eligible federal parties are also entitled to various public subsidies and funding. The parliamentary wing of a party receives funding for research and the leader’s salary from the House of Commons. To receive this funding, however, a party must maintain “party status,” requiring that the party hold a minimum of 12 seats in the House of Commons. As a result, only the major political parties usually have access to this source of revenue. Parties also receive public funding to support their election campaigns. The federal government has instituted a tax-credit scheme for political party contributions. Under this scheme, registered political parties are permitted to provide tax receipts to their contributors that can be applied for deduction purposes to a contributor’s income taxes. Eligible election candidates are also entitled to partial reimbursement of election and personal expenses. Finally, eligible political parties are entitled to quarterly public allowances, based on the number of votes they received in the pervious election. Parties may use these funds in support of the day-to-day activities and to prepare for future elections. In any discussion of Canadian political parties, regionalism is always a key issue, though regionalism is not a new phenomenon in Canada’s party system. During the first half of the twentieth century, the country experienced the rise of several western-based regional parties, such as the Progressives, the Social Credit, and the Co-operative Commonwealth Federation (CCF). Nevertheless, in the current context, the significance of regionalism and its impact on Canada’s parties, party system, and democracy is an absolute. Since the 1990s, Canada has moved towards a multi-party system — one that has seen the evolution and rise of new parties that challenged the traditional dominance of the Liberals and Progressive Conservative parties. Many of these new parties are or have been based around a particular region and its interests. The Bloc Québécois, for example, runs candidates only in the province of Quebec, with Quebec nationalism serving as its key policy plank. The Reform Party (and its later incarnation, the Canadian Alliance) was a western-based party that focused on themes including western alienation and seeking a voice for western interests in national politics. The rise of regionalism is also apparent in looking at the major political parties. Following the merger of the Canadian Alliance and Progressive Conservative Party, the new Conservative Party has struggled to move from a western-based party to a truly national party with support across the country (although, in recent years the party’s electoral support in Ontario has steadily improved). Even the Liberal Party has been impacted by regionalism. While the Liberals generally enjoy cross-country support, that support is not evenly distributed. The party’s strength has centred in Ontario, with more limited support in Quebec and western Canada. Traditionally, the Liberal Party enjoyed moderate support in Quebec — though support for the party in that province changed significantly in 2004, as a result of the sponsorship scandal. Is this current regionalism beneficial for Canada? One might argue that it is detrimental, insofar as it has brought instability to Canadian democracy. Since 2004, no political party has been able to garner sufficient national support to form a majority government. 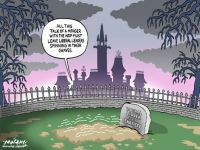 Instead, Canada has experienced three federal elections in four years (2004-08), with a series of minority governments. At the same time, however, regional parties have played a role in bringing some stability to Canada’s Parliamentary tradition. The Bloc, for example, has sided with the governing party on several occasions over this period to avoid elections. One might also argue that this regionalism is detrimental in that hinders the development of a national vision for Canada, at least in terms of electoral politics. Instead of parties aggregating and accommodating interests on a national scale, Canada is left with a set of parties which are largely regionally based, focused predominantly on a given region’s interests. While this may be a valid charge, it is important to note that regional parties are an do articulate interests that may otherwise be marginalized in the political system. In this vein, the creation of the Reform Party/Canadian Alliance and Bloc Québécois parties was, in part, the result of perceived deficiencies in the existing political system at the time, where the interests of central Canada (and, in particular, Ontario) were thought to dominate. Political parties perform a number of key roles, such as electing political officeholders, aggregating interests, and contributing to political socialization. Money is critical to each of these aspects of party “business.” For example, electing political officeholders, political parties require money to develop their policies (funds are used for purposes such as conducting public opinion polls), hire support staff, raise additional funds, and communicate the party’s message through election advertising. Some political parties, however, have considerably more financial resources than others. Consequently, they enjoy a greater chance of electoral success. In this context, the federal government has taken some steps to improve the fairness of elections. Under the Canada Elections Act, federal political parties are entitled to public allowances in support of their activities. To qualify for such funding the party must: a) be registered with Elections Canada and b) have received at least two percent of the number of valid votes cast nationally in the previous election, or five percent of the number of valid votes cast in electoral districts in which the registered party endorsed a candidate. If a party is deemed to qualify for funding it then receives a quarterly allowance which, over the course of the year, amounts to $1.75 per valid vote received by the party in the previous general election (this amount has since been adjusted for inflation). In addition to this direct public funding, other financial benefits and restrictions govern Canada’s political parties, such as limits on the amount of money registered political parties may spend during elections, restrictions on financial contributions to political parties (created to emphasize small individual contributions over large corporate and union contributions), and reimbursement of a certain percentage of the election expenses of registered parties and their candidates by the public purse. The effect of this financial scheme on political parties has been pronounced. In their study, The Impact of Changing Finance Laws on Canadian Political Party Competition, Lisa Young and Harold Jansen argue that the regime has had different impacts on the various federal political parties, while narrowing the overall gap in election spending between parties. Whereas the Liberal and the New Democratic parties were traditionally dependent on large corporate and union contributions respectively (as a percentage of their overall revenues), restrictions on financial contributions coupled with the introduction of direct public subsidies have meant that a significant portion of their revenues come from the public purse. Young and Jansen note that this situation has been made more acute by the fact that neither party has been overly successful in attracting smaller, individual contributions in a fundraising climate that demands them. Compared to the other political parties, the Conservative Party has received the largest total amount of public subsidies compared. Public monies, however, have typically accounted for a much smaller portion of that party’s overall revenues, as the Conservatives have been much more successful in attracting high levels of revenue through small, individual donations. According to Young and Jansen, the only factor limiting the Conservatives from exploiting their financial advantage over the other political parties during an election has been legislated limits on electoral spending. As for the Bloc Québécois and Green parties, Young and Jansen contend that both have benefited greatly from the financial regime in that direct subsidies have provided both parties with higher levels of financial resources than they would otherwise have through private contributions. The Bloc Québécois, for example, is able to run election campaigns using public monies alone, as the party campaigns in only one province and, as such, requires more limited operational costs. The successful meeting of the threshold for public subsidies in the 2004 election has provided the Green Party with increased revenues, which has allowed it to expand and professionalize its operations, as well as raise its profile amongst voters. Overall, Young and Jansen’s study suggests a closing of the gap between political parties in terms of what they spend during an election. The Conservative and Liberal parties have continued to spend at, or close to, legislated spending limits. With the introduction of direct public subsidies, the Bloc Québécois have been able to increase its spending to the limits allowable in ridings where it competes. And, while the spending of the New Democratic and Green parties has been significantly lower, it has nevertheless increased over time — closing the gap with other parties. This all raises an important question: is this system of financial benefits and restrictions for political parties fair? One view, often referred to as a libertarian or free market view of electoral fairness, would have serious concerns with this system. This position considers that with a greater dependency on public subsidies (as opposed to private contributions), parties do not have as much incentive to provide packages of political goods to attract citizen support. In other words, they don’t have to work as hard to woo prospective voters, because they are guaranteed a minimum of funding. At the same time, parties — such as the Bloc Québécois — can run robust operations and election campaigns without even having to engage in fundraising, as the Bloc’s campaign geography (restricted to the province of Quebec) is limited vis-à-vis other parties, as already mentioned. Meanwhile, parties that could be considered more marginal, such as the Green Party, are made much more competitive than might be suggested by their popular support (at least in terms of the private contributions they attract) because they can use public monies to “professionalize” their operations and raise their national profile. Other forms of liberalism, however, would view this system as being very fair insofar as it ensures that smaller, less wealthy political parties have minimal resources to compete in elections. Public subsidies provide these parties with the financial ability to engage in activities they may not have otherwise been able to undertake, such as advertising on national television or radio. Moreover, restrictions on the amount of money that parties can spend during an election prevents wealthy parties from simply “buying” elections by outspending their competitors to such a level that smaller parties have no real chance. A more radical egalitarian approach to political party financing, however, would view the system as not going far enough. Central to this view is the idea that true fairness requires minimizing financial inequalities as much as possible. For all political parties and their supporters to have a fair chance to compete in elections, there must be a level playing field in terms of what parties can spend during an election. This view considers the system provided for by the Canada Elections Act as one that fails to create a level playing field. While the restrictions on spending set a limit on how much wealthy parties can spend, and the availability of public funds provides parties with some resources to compete, there nevertheless are substantial differences between those that spend at the top of the regime and those that spend at the bottom. To this end, for example, the Liberals and Conservatives can spend considerably more on their campaigns than the other parties. As such, a radical egalitarian might argue for a very different regime for regulating political parties — one whereby parties spend the same amount of money during elections. Such a system would not only require limits on spending but more robust public subsidies to ensure all parties could spend to the limit. Another issue that comes into play in the current debate relates to the decline of political parties as key instruments of political participation. Across western industrialized nations, studies have shown an overall decline in support for political parties. One example of this is party identification or individual psychological association with political parties (Dalton, 2000). Over time, individuals are less likely to be attached to a particular political party and to see political issues and events through party lenses. Another example is party mobilization and the declining ability of parties to mobilize partisan voters to the polls (Wattenberg, 2000). A number of different explanations have been provided for these trends. One explanation is that other social institutions and actors have taken over traditional functions of political parties. Instead of joining a political party, individuals prefer to participate in specialized voluntary associations to influence politics, such as community organizations or groups focusing on a single issue or cause such as the environment, women’s issues or minority issues. At the same time, other social institutions — such as the media — have come to be the primary source of political information for citizens, meaning that party membership may not hold the same value it once did. Journalists and news media outlets have also, to some extent, adopted some of the functions of opposition parties, investigating and reporting on government misconduct and mistakes. Another explanation for the decline of political parties in a contemporary context is that in modern democracies political parties no longer need to have strong party organizations. Instead of building support through formal party membership and participation, parties can use the media to link with voters in a broader and more efficient manner. Parties can also rely on public opinion polls as a means of assessing voter preferences, rather than rely on their own party members to develop new policies. Another potential reason for the decline of political parties is that parties are no longer viewed as central players or forums in government policymaking (Dyck, 2008). Politicians and their party organizations, for example, can no longer cope with the quantity and complexity of information faced by modern governments. As a result they have become increasingly dependent on specialized bureaucrats and advocacy groups, such that government conferences and committees now serve as key policymaking forums. A final though on the reason for the decline of political parties is that, today, there are new avenues available to influence government policy that bypass political parties. With the introduction of the Canadian Charter of Rights and Freedoms, for example, individuals and groups can challenge government actions and laws through the courts, where they may previously have done so via a political party. Such an approach to political action focuses not on political parties, elections, and the legislature, but on constitutional rights and the judiciary. Carty, K & Cross, W. “Political Parties and the Practice of Brokerage Politics.” in The Oxford Handbook of Canadian Politics. Ed. Courtney & Smith. New York: Oxford University Press, 2010. Courtney, J. Do Conventions Matter? : Choosing National Party Leaders in Canada. Montreal: McGill-Queen’s University Press, 1995. Cross, W. “Political Parties” in Politics Is Local, National Politics at the Grassroots. Ed. by Carty and Eagles. Toronto: Oxford University Press, 2005. Dalton, R. “The Decline of Party Identifications.” in Parties Without Partisans: Political Change in Advanced Industrial Democracies. Ed. Dalton & Wattenberg. New York: Oxford University Press, 2000. Duverger, M. Political Parties: Their Organization and Activity in the Modern State. Lond: Methuen, 1954. Jansen, H. & Young, L., The Impact of Changing Party Finance Laws on Canadian Political Party Competition. Presented to the Annual Meeting of the Prairie Provinces Political Science Association, Regina, Saskatchewan, September 27, 2008. Wattenburg, M. “The Decline of Party Mobilization” in Parties Without Partisans: Political Change in Advanced Industrial Democracies. Ed. Dalton & Wattenberg. New York: Oxford University Press, 2000.